ABC Fire Inc. has experience in various types of Vehicle Suppression Systems and is willing and able to repair, replace, or install a new system. 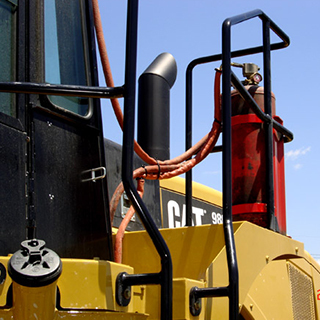 We offer the best systems for your needs from manual systems to automatic/manual systems that can protect the driver, drivers egress, engine/transmission, hydraulic areas, even tires. Our systems can be built to your needs, expectations and budget. Wood, paper, cloth, trash & other ordinary materials. Gasoline, oil, paint and other flammable liquids. May be used on fires involving live electrical equipment without danger to the operator. Combustible metals and combustible metal alloys.